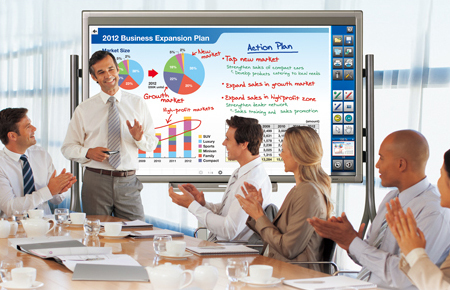 The intuitive integrated touchscreen LCD monitor, the PN-L802B makes conventional presentation tools look out of touch with the communication needs of businesses and academic institutions. 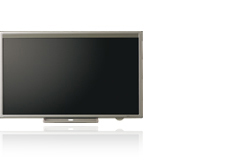 Its bright, energy-efficient LED backlighting and large, 80-inch high-resolution display provide maximum satisfaction both to the user and the viewer. Developed specifically for Sharp touchscreen LCD monitors, the bundled Sharp Pen Software allows anyone to smoothly and easily operate the PN-L802B. Once documents created on any application software have been imported as images and displayed on the touchscreen, users can quickly write and draw directly on the screen surface using the bundled touch pen or a finger. 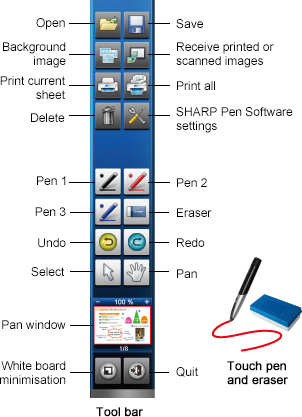 This user-friendly interface supports onscreen functions for pen-colour and line-thickness selection as well as an eraser tool that can be used to delete selected notations or clear the entire screen at once. Screen images can be enlarged or rotated, and handwritten notations such as text and drawings can be selected and repositioned.